Sydney six-piece Midlife return today with their second single ‘Right Down’. Following on from last year’s warming debut, their latest track is produced to perfection and bursting with melodic groove. It’s a powerful indie-pop sound and we’re very pleased to be providing its very first spin. 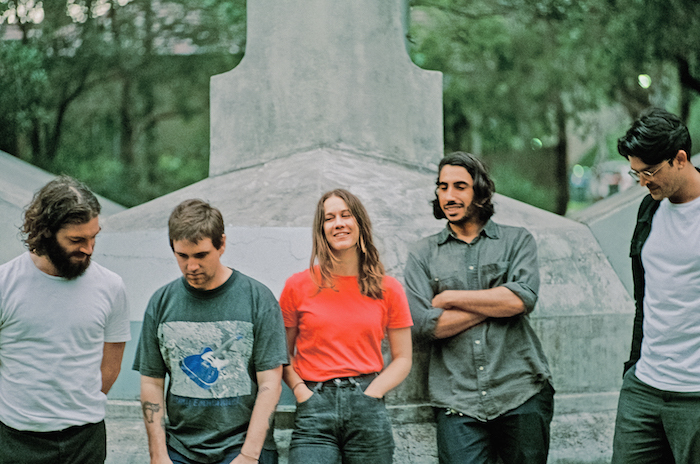 Self-produced and engineered at keyboard player Oly Marlan’s Leichhardt-based Rolodex Sound, the track sees the band take their dynamic sound into new spaces. There’s an air of confidence at play; six individuals combined to perfect a balance of effortlessness and precision. Lead singer Josh Bush leads the charge with his infectious vocals, still leaving plenty of room for beautiful harmonies to cushion the hard-hitting guitar and edgy instrumentals. Midlife’s new song also comes with a particularly fitting clip too, and was inspired by the x-ray of an injury that Curtis endured late last year. Consisting of archival footage, mostly medical films from around the 1940s, it perfectly reflects this idea of getting to know yourself on a different level - out of the mind and into the body. “Obviously these haven't always been readily available, but the internet provides. Many hours were spent scouring the weird corners of the web looking for skeletons. And yes, the single artwork is the x-ray of my mangled leg.” Dig deep and enter a different realm below.